Have you been longing for new updates for that long-forgotten game Angry Birds Space? If so, you’re in luck. Rovio has just boosted interest in the game with a massive update called Beak Impact. This time the action heads over to an asteroid belt where the bad piggies are busy mining for precious metals. Your job is to stop them in 40 new levels spread over two parts. The first twenty levels are free to play and you can unlock the rest of the levels by picking up all stars from the first twenty. Of course, there’s always the option to buy them if you are in a tearing hurry. The game has plenty of bonus levels to unlock. You can unlock 4 levels if you find all the hidden NASA spacecraft in the update and 6 more bonus levels for picking up every star and every feather. 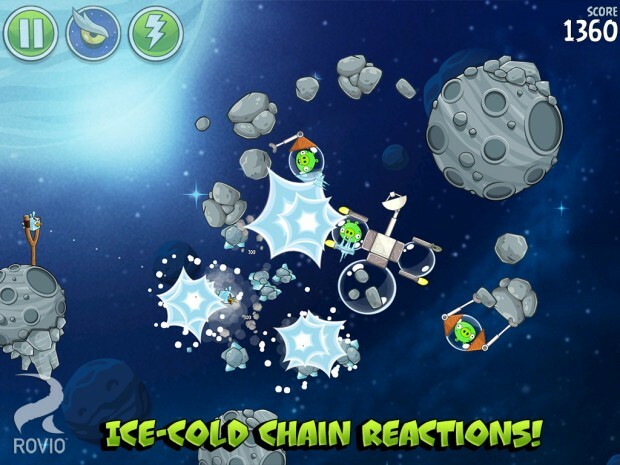 You will also meet a new bird who is inspired by the legendary astronaut and Apollo 11 moonwalker Buzz Aldrin, who gets his own game character. You can call on him any time you get stuck in a level. 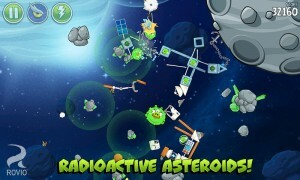 The game has different types of asteroids: radioactive, freezing, and burning ones; gravity defying fields, unstable energy cells that need to be mashed and if all of that doesn’t satisfy your appetite, you can read this blog post from NASA who share their plans to capture an asteroid and do some amazing stuff in space for real! 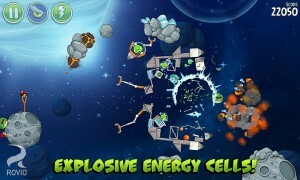 Angry Birds as always never fail... Best physics game i have ever played!